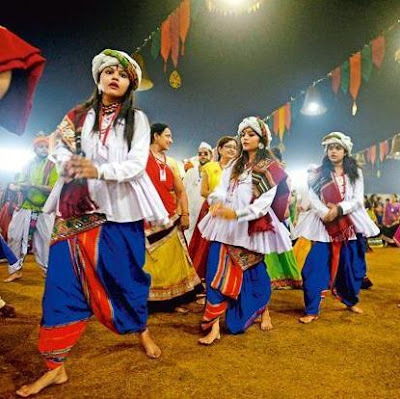 Navratri means nine nights and signifies the worship of Goddess Durga. She is the supreme power, also known as Ma Shakti. 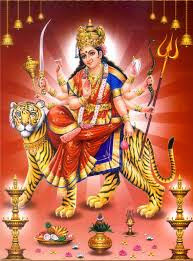 Goddess Durga is worshipped to annihilate the demons inside us. During the Navratri, Goddess Lakshmi and Saraswati are also worshipped. Goddess Lakshmi is the giver of wealth whereas; Goddess Saraswati is the giver of Knowledge who also, cultivates artistic pursuits. 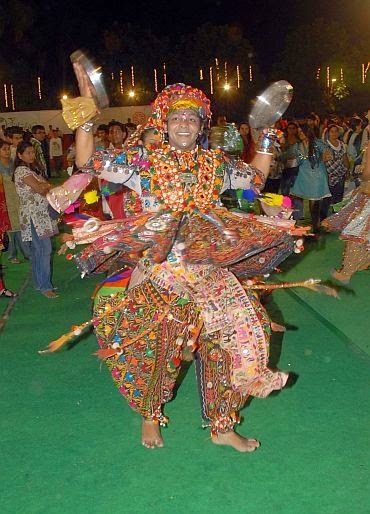 Garba dance was first organised by Rani Rukhmini, Lord Krishna’s wife who celebrated navratri in Dwarka. 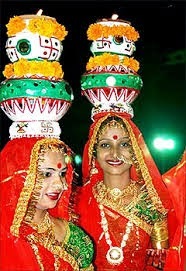 This dance form is done by clapping of the hands and going round a lamp in groups. 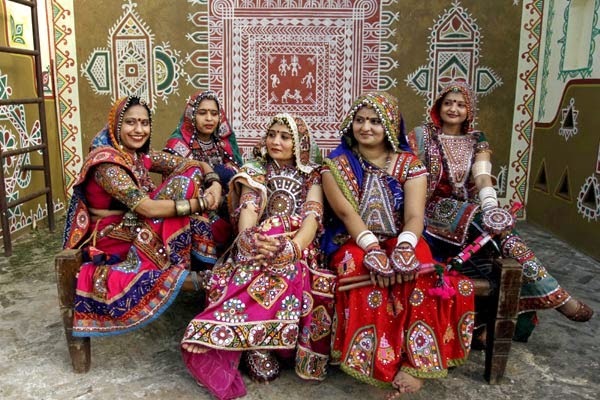 Garba is done by women before the Aarti. Dandiya on the other hand, is a dance where, both the genders can participate. It is performed with two decorated sticks as props. 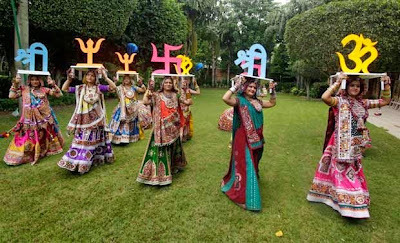 This dance is generally done after the rituals. 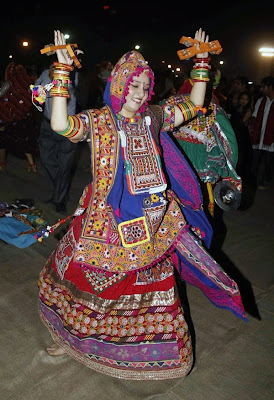 Traditional attires are preferred during these dance rituals. 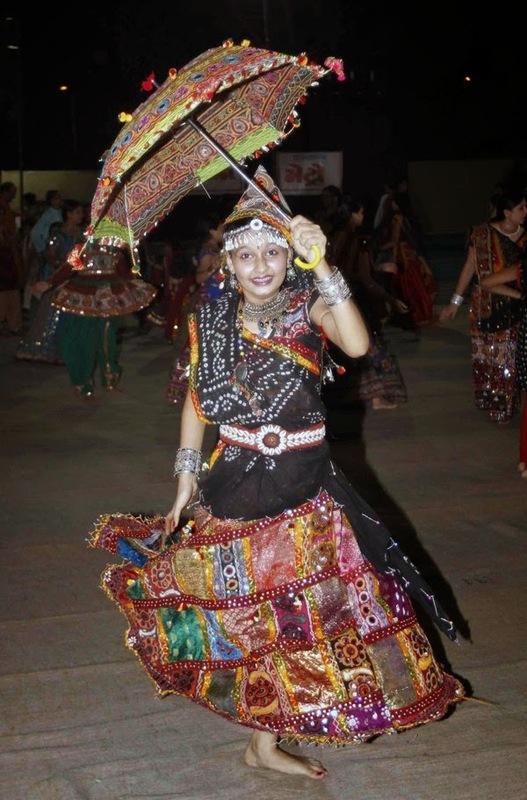 The chaniya choli: Women wear embellished chaniya cholis for the dance. These cholis are heavily embellished with beads, mirror work, embroidery, and shells and so on. 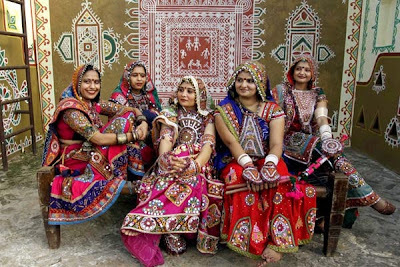 Ghagra: Colourful long skirts are worn with the cholis. 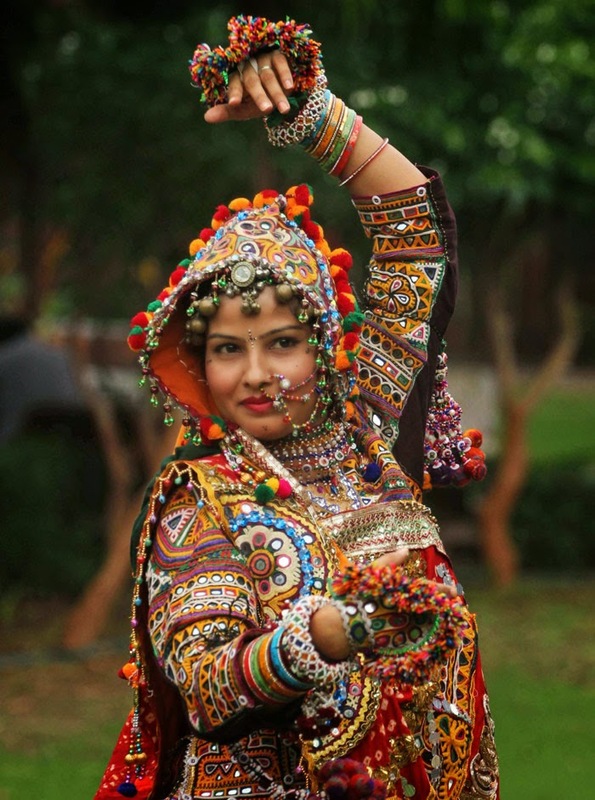 These ghagras are also adorned with embroidery and mirrors. 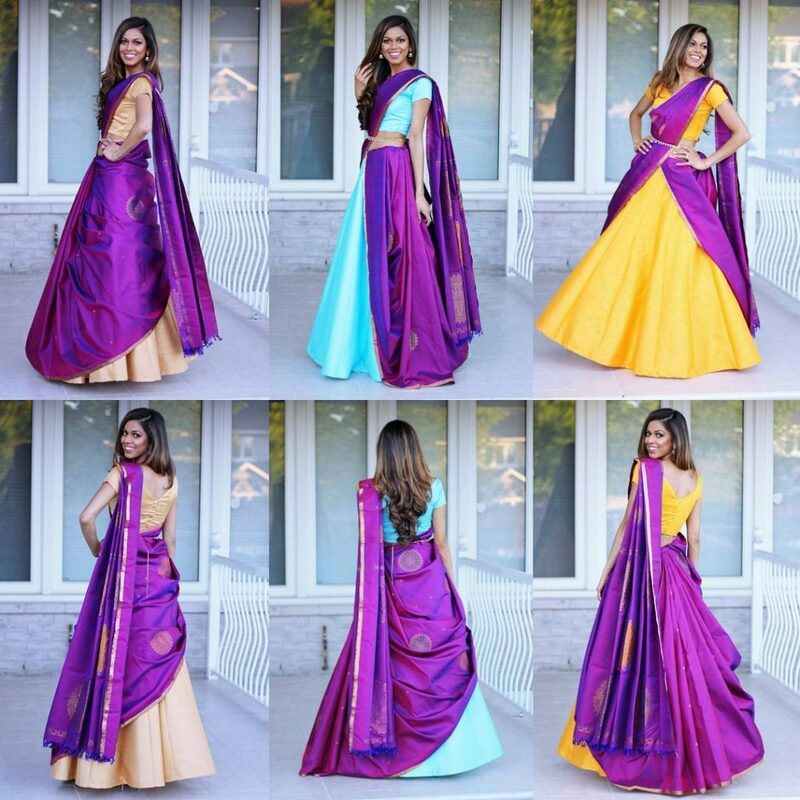 They are usually in contrasting colours and with a dupatta. 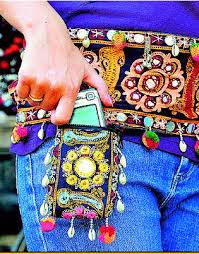 Accessories: Traditional accessories like Kadas, Jhumkas, maang-tikas are worn with this attire. 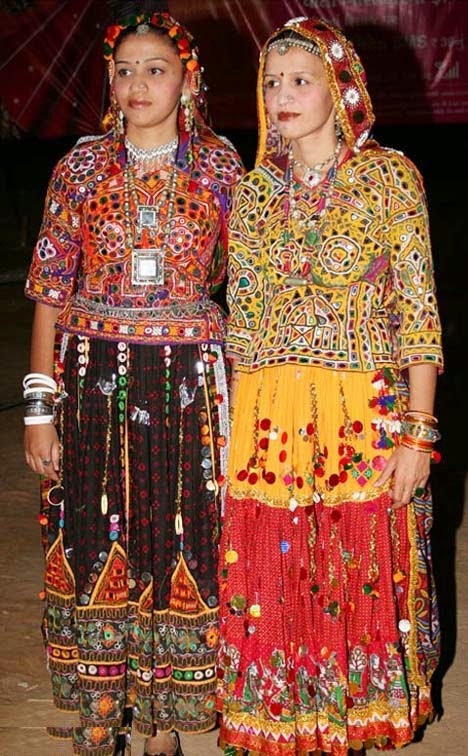 Kamarbandh and payal are also worn by the Gujarati women. Kafni Pyjamas: These pyjamas are loose and breathable. 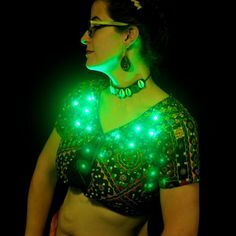 Men wear it under the kediyu. 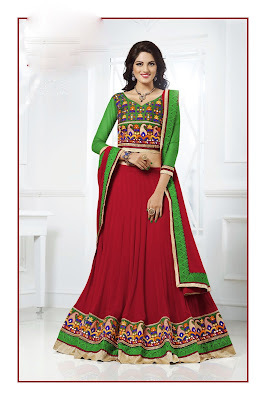 The attires are usually bright with red forming the major colour influence. 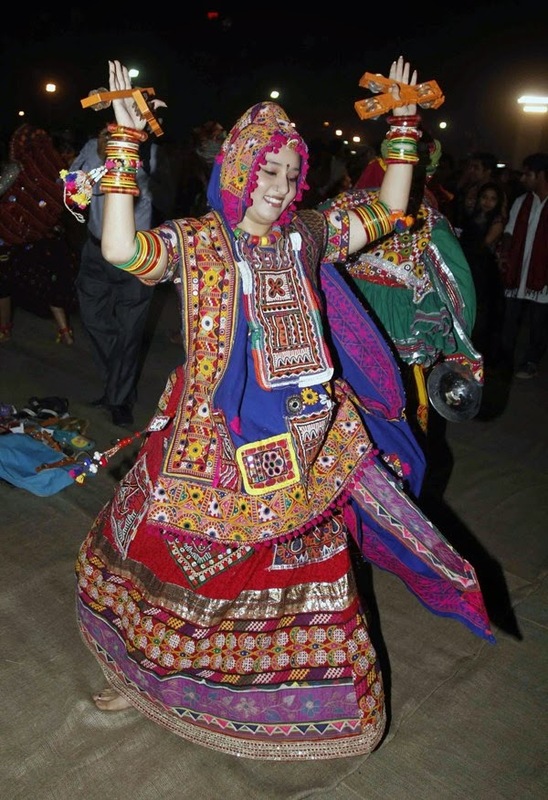 Garba and dandiya have a long-term romance with Ghagra-choli. 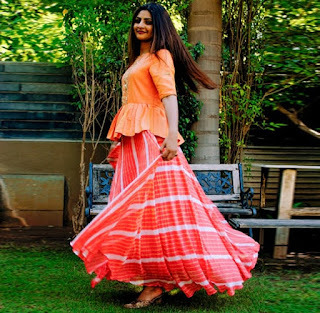 Mirror-work and bright colors go hand-in-hand with this look. 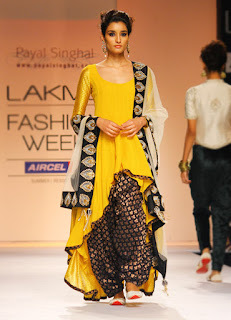 Pair a bright piece of ghagra and chaniya-choli with a contrasting dupatta. 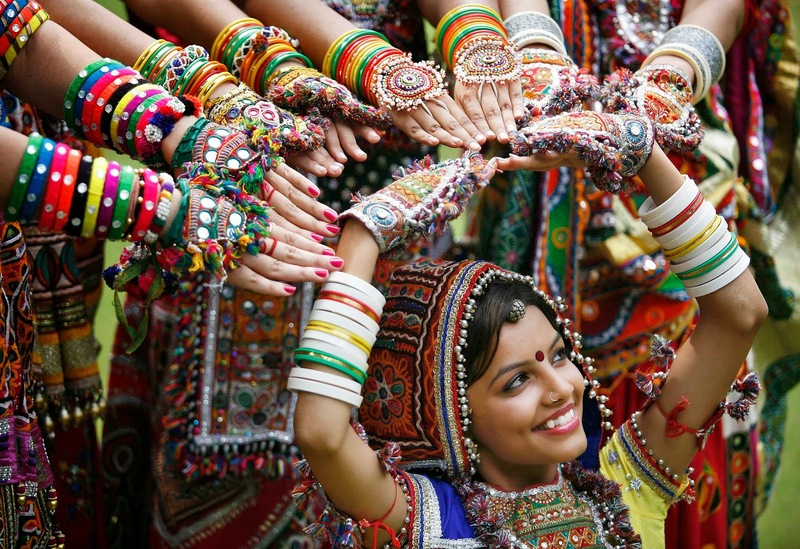 Keep your bangles to a limit, the dandiyas don’t need any distraction. 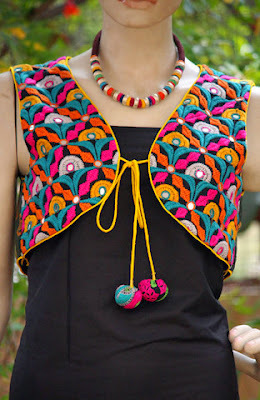 Maang-tika is a preppy addition to your look along with an armlet or baajubandh. Stick to cotton based materials for these events. 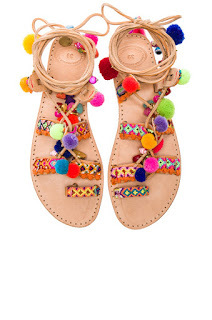 Keep the sweat from squashing your delightful play. Fly away the night playing Dandiya! 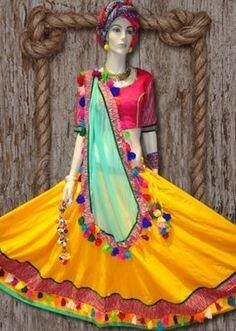 A multi-coloured ghagra will just put you on the threshold of limelight. 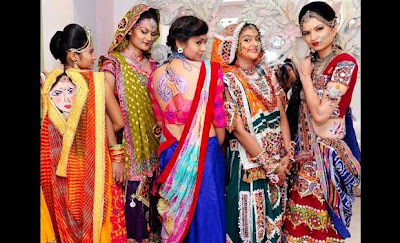 Choose a multi-coloured ghagra. 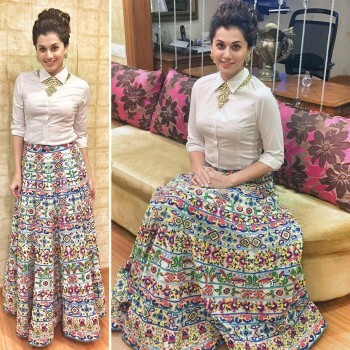 Bandhni is a fabric that you should wear on your dandiya night. It’s a part of the culture. 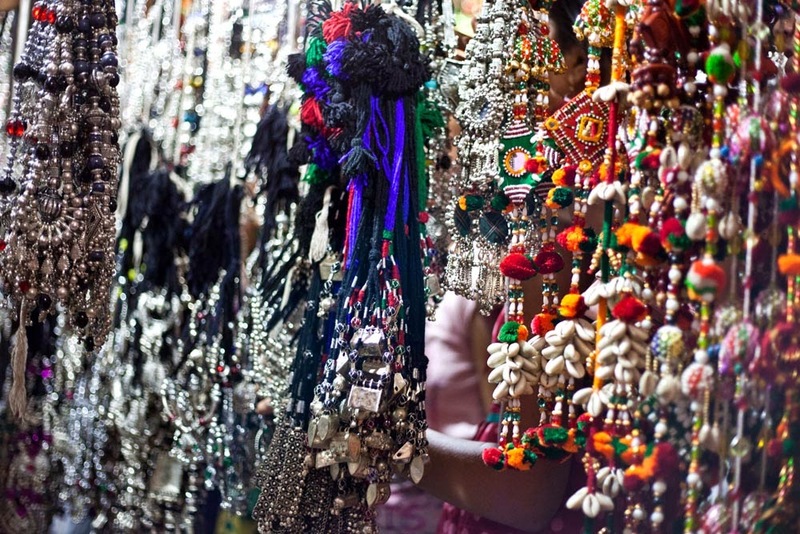 Kadas on your hands and neck can replace the unnecessary burden of jewellery. 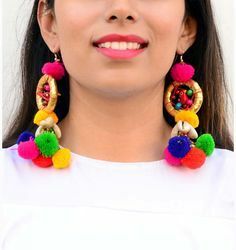 You can wear the jhumkas though! 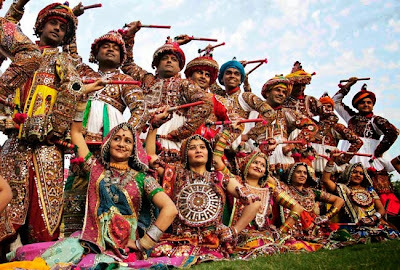 They will add the traditional flavour. Be as traditional as possible. 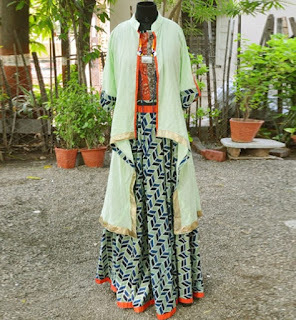 Wear mirror-embellished ghagras and cholis. 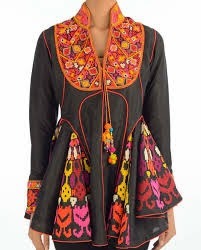 Gujarati-stich should be the preferred embroidery on your garment. 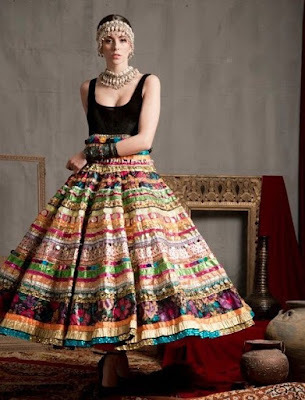 The lehenga is a part of our traditional Indian attire. This look can be worn on the night of the dandiya.Wear a sequined lehenga with opulent embroidery; either in a sober or contrasting combination. A lovely bunch of bangles paired with a magnificent neck piece and jhumkas will uplift your look. 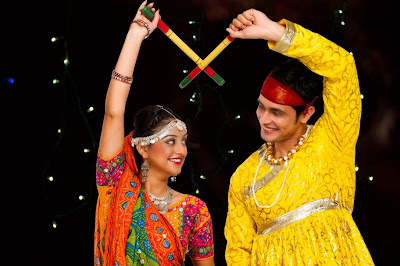 Your dandiya night can be made special if you pair up your ensemble with that of your partner. 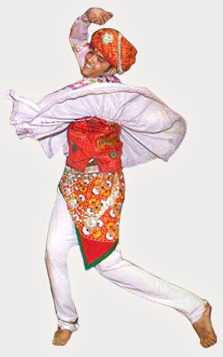 You can pair only the hue though; if you are wearing red-white, he can wear white or red. Do not play the whole matchy-matchy game here, or you will end up looking like twins. 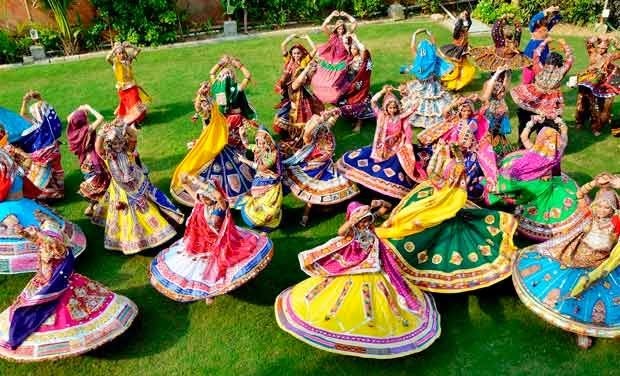 You are always welcome to experiment with new looks and style.Designers are introducing ombre-coloured lehengas for the navratri. As we know there has been a lot of western influence on clothing, this has taken over by all the means even during navratri, I would suggest go desi instead of western. 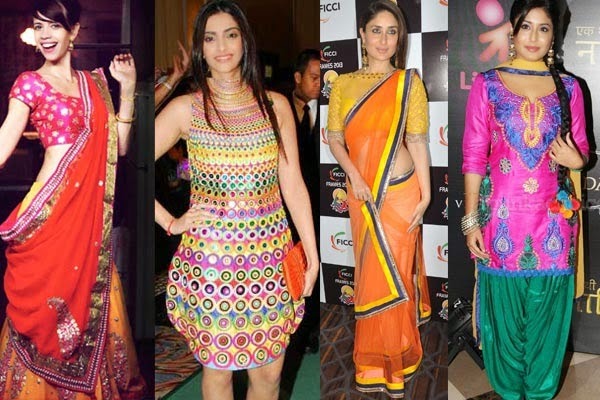 One of the best fashion trends for this year Navratri is to dress in a desi style. 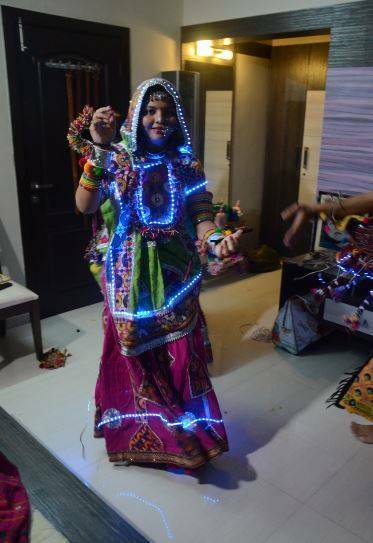 Looking traditional will only make you feel more connected with the festival too. Navratri is going in for the complete Indian look. Don’t forget to add a dash of shimmery bindi which will help to complete the look. 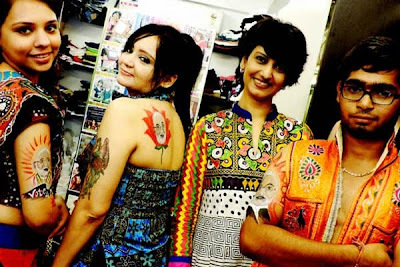 Girls prefer tattoos depicting Radha-Krishna doing dandya raas, or that of a butterfly, a star, a flower, or dandya. 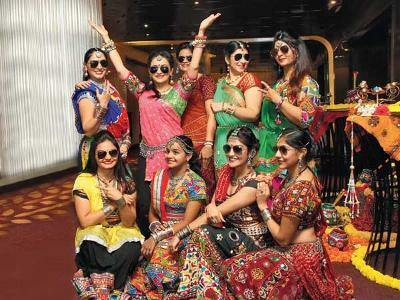 Tattoos are the latest fashion statement for the Gujarati youth, ahead of the Navratri festival. Do try this one as this will add an extra glam to the look. 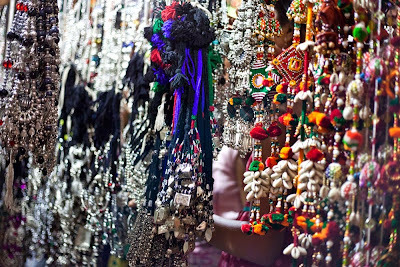 To go complete desi this navrathri try oxidized pieces of jewelry which includes necklaces, bracelets or kada, kamarbandh and nose rings. 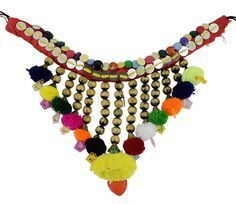 Kundan Navratri jewellery is also hot in this season. I think a kamarbandh is the best style statement and will also help you enhance your curves. 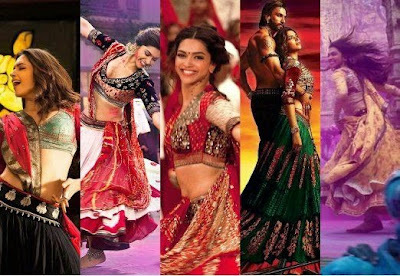 You can use Deepika’s RamLeela look this season. 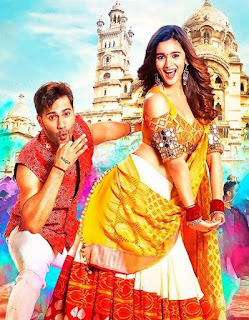 It’s the next trend setter for this navrathri with the frizzy hair, nose ring , desi looking tattoos on the neck and hands. 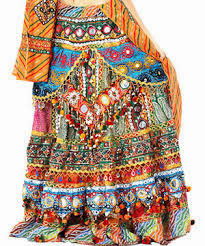 Not to forget the ‘Chaniya Choli’ with the lot of frills which will look elegant while dancing. 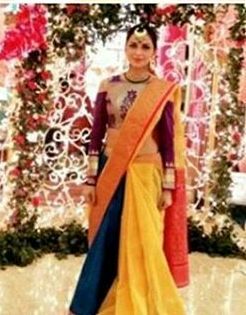 You can also try Kumud's Saraswatichandra look this season. 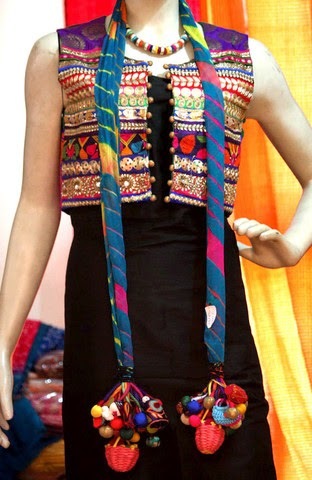 It's simple and desi yet elegant. 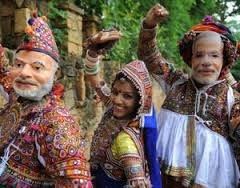 After T-shirts, kurtas and sarees with 'NaMo' stickers, Narendra Modi's tattoos, Narendra Modi masks have become a trend during this garba festival in Gujarat. Another big trend during this garba season is of ghagras with bulbs. 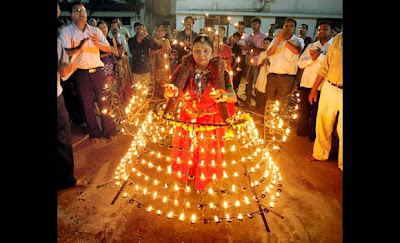 Megastar Amitabh Bachchan first made the bulb-fitted costume popular in 'Yaraana' song 'Sara Zamana' and probably taking a cue from the actor's outfit, women are shelling out money to get lighted ghagras.These ghagras are fitted with neon bulbs on the border and the lights are arranged in a random pattern with the density of bulbs increasing towards the bottom of the skirt.